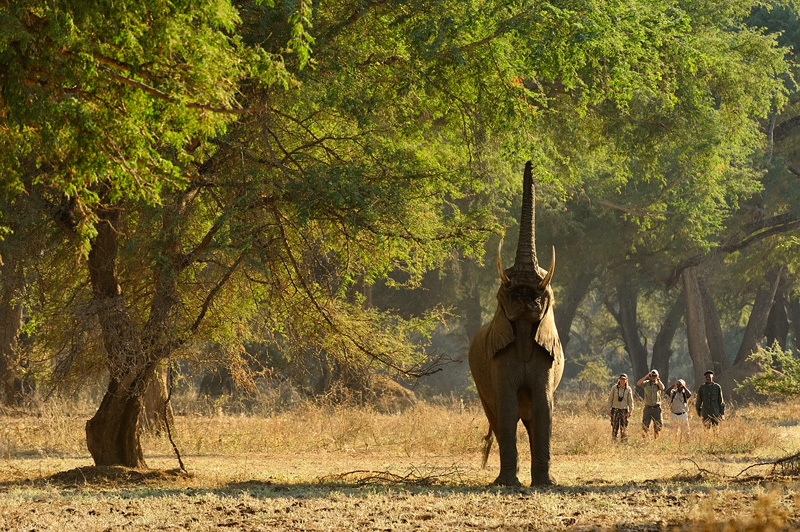 Zambia is not your typical safari destination. One of the great things is that you can go on a walking safari to watch the animals in much more natural circumstances and to photograph them from ground level. Obviously, you always need to do this with professional guides who know the area and the animals by heart, and with an armed guard - just in case. To watch the animals while not sitting inside a vehicle is a completely different experience that cannot be compared to any regular safari drive. Shot in Lower Zambezi NP.